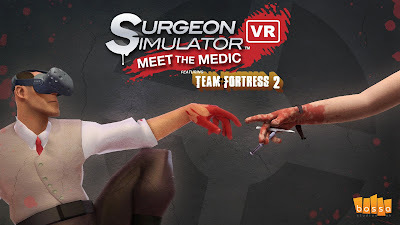 I think this VR game was done quickly as a partnership between Valve and the Surgeon Simulator guys. It's the same structure of a game as Surgeon Simulator but instead of having crazy controls you have exact one to one controls with your hands. It completely changes the game but I actually found that I loved it on a totally different level. This is one of the few VR games that I finished and immediately wished there was more to it. It's only one level with one scenario and it's just not enough. I now want to play all of Surgeon Simulator in VR with fantastic one to one controls. I would love it! Lol, I think you commented on the wrong post, but I hope it's true.